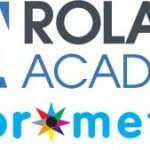 We are pleased to announce that Roland Academy has chosen ColorMetrix to offer the next installment in their partner webinar series on Aug. 21 at 9 a.m. Pacific Time. In 45 minutes, we’ll run through the features and functionality of ProofPass that make it a perfect solution for wide format inkjet printing color verification and process control. Register for the free webinar or read on for more information. ProofPass.com from ColorMetrix Technologies LLC provides quick and easy color verification of your prints. By measuring a control strip before you print a job, you verify color conformance to in-house standards, industry specifications or client requirements. Also, the process control capabilities allow you to monitor the health of your printer and predict color conformance problems before they occur. At the conclusion of the webinar we will be extending special ProofPass pricing exclusively to webinar attendees. All you need to do to qualify for the special Roland Academy pricing, is attend the entire demonstration as the discount code will be provided at the end. or visit ProofPass.com to learn more today.